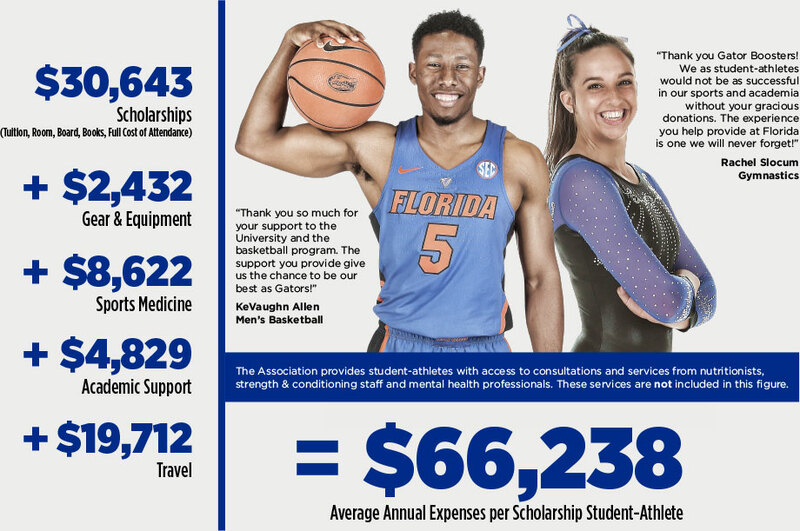 Impacting the Student-Athlete Experience | Gator Boosters, Inc.
Gator Boosters, Inc. is a 501(c)(3) not for profit organization whose primary purpose is raising necessary funds for athletic scholarships and capital improvements for the Gator athletics program. Your contribution pays for the annual athletic scholarship needs of Gator student-athletes for all (21) of our men's and women's sports. Copyright © 2019 | Gator Boosters, Inc., University Athletic Association, Inc. and IMG College | All Rights Reserved, Designed by Summit Athletic Media.